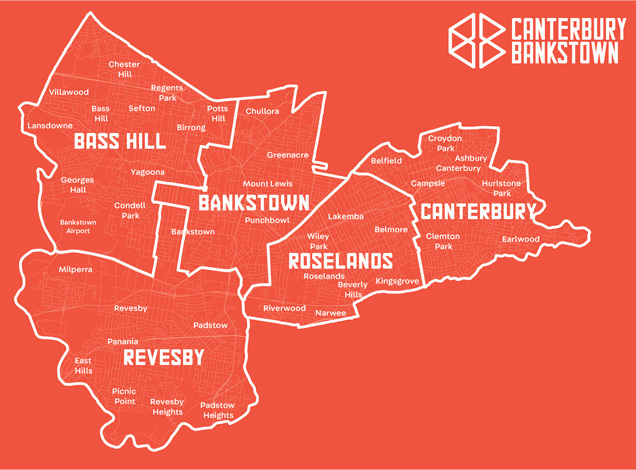 In 2016 the former City of Canterbury Council and former Bankstown City Council amalgamated to form the City of Canterbury Bankstown. The new Local Government Area (LGA) is made up of five Council Wards. This map can be used as a guide for the areas different organisations service. The new LGA has different boundaries for some services listed in this directory such as local health districts, state funded programs and NSW Police Local Area Commands. Different boundaries and funding can impact on the services available to different people.